I?m pleased to announce we have selectedthe winners for Outdoor Canada magazine?s latest subscription promotion. Duringthis past November?s first annual Outdoor Canada Show at the InternationalCentre in Toronto, new subscribers to the magazine were entered into a draw towin one of three prize packages from Rapala Canada. Each package included a RapalaTS2 fishing rod, Volt reel, Sufix fishing line and assortment of Rapala, Storm,Trigger X, Terminator, Blue Fox and Luhr-Jensen lures. Big congratulations go to ourthree lucky prize pack winners! 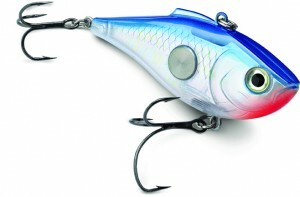 Many thanks to Rapala Canada forsponsoring the contest by providing the great tackle. Judging by the reactionsof the three winners, we?re pretty sure the gear is going to be put to gooduse. And finally, a big thank you toeveryone who subscribed to the magazine during the Outdoor Canada Show. In ourminds, your subscription to OutdoorCanada is a great prize in and of itself! Enjoy.